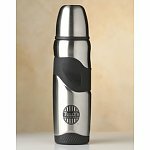 Green Mountain Coffee offers the Green Mountain Coffee Brew Over Ice Universal Tumbler in Clear or Snowflake for $0.98. Coupon code "SAVE6" drops it to $0.78 with $5.95 for shipping. 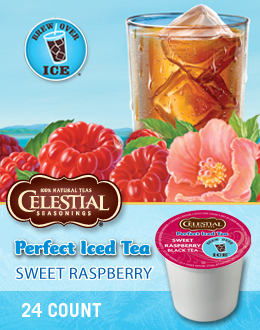 Green Mountain Coffee offers Green Mountain Coffee Sweet Raspberry Iced Tea(24 K-Cup Box) for $7.63 via code EXTRA10 with free shipping. 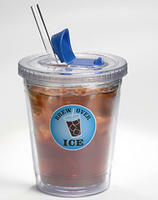 Green Mountain Coffee offers Brew Over Ice Universal Tumbler for $3.98. Coupon code "EXTRA10" drops it to $3.58 with free shipping. 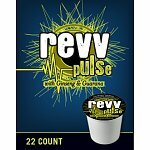 Green Mountain Coffee offers Deal of the Week 12pk K-Cup + Travel Tumbler + Tote for $9.98 with free shipping (ends 01/22/2013). 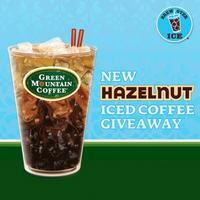 Green Mountain Coffee offers FREE Hazelnut Ice Coffe sample. Note: Please select you have a Keurig "K-Cup" brewer. Green Mountain Coffee offers its GMCR Blade Grinder for an in-cart price of $5.99. Use coupon code "AM0009" with PIN "3567" to drop it to $5.09 and bag free shipping. Apply key coupon code AM0009 and pin 3567 to cut it to $4.24 with free shipping. 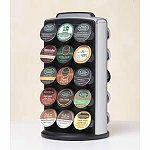 Green Mountain Coffee has Keurig K-Cup Tower (Holds up to 30 K-Cups) for $16.95 - key code AM0009 & pin 3567 = $15.59 + free shipping.